We appreciate your kindness you show on an annual basis. As we move forward today and throughout the year, we also need to be remembered as we go into the future. With your generosity, we can continue offering the services to the individuals who need them. If you would like to explore a method of giving that is right for you, please feel free to contact us and we will be happy to meet with you. A gift through your estate ensures that your commitment to Educate the community on the issues of violence, to Empower victims and survivors to make the best choices for their individual situations and to Envision a world free from violence, will continue beyond your lifetime, having a lasting impact on VIP's work to serve those in need. 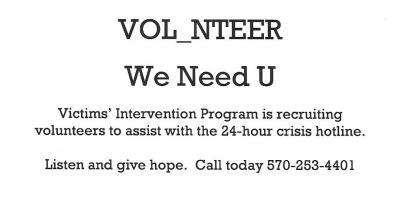 "I give, devise and bequeath to Victims' Intervention Program, a charitable organization located at P.O. Box 986, Honesdale, PA 18431, (state percentage of estate or residue, sum of money or otherwise describe property) to be used for its general (or the following specific) purposes." VIP prefers that bequests be made for its unrestricted general purposes. To learn more, please contact Michele Minor Wolf, 570-253-4401. 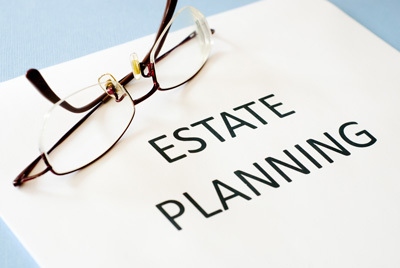 For specific financial or legal advice, please consult with an attorney or financial planner.